Are you sick of this coral tank-top yet? lol. I filmed the college to-do list all in one day back in Miami, so sorry for the single-note wardrobe. Ha. Hope the tips are helping! 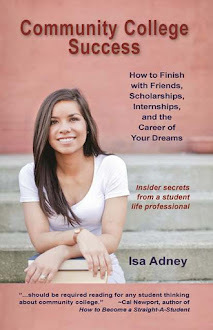 Please let me know how you're doing with the to-do list items in the comments below or at isa@isaadney.com. How many items have you done? What results have you seen? I'd love to possibly share your success story at the end of this series! P.S. The vlog above is about becoming a leader in a club. Most people only think about this in the fall semester, but spring is a great time to look into clubs as many officers will be graduating and clubs will be looking for new leaders!